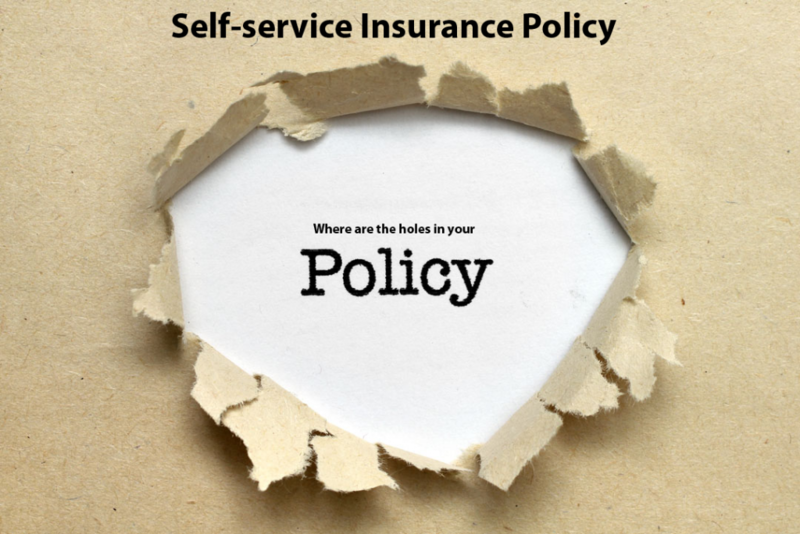 Avoiding the self-service insurance potholes? A handful of insurance companies are tripping over themselves trying get your attention to offer you an online auto insurance quote. The ad buys are so enormous that insurance has become the 4th largest advertising category (According to AdAge) and nearly $6 Billion (estimated) was spent in 2014 on insurance advertising by just ten insurance companies. Estimates are that advertising expenditures are at about 6% of total premium booked by these companies. Ok. Mr. Gecko, Maxwell, Ms. Flo, Jake and Mayhem man are entertaining – to a point! On the other hand, despite the humor and frivolity, the message they are drumming into our heads is that doing a self-service auto insurance quote gets great results and saving money is all it is about. None of their depictions are quite this easy! Doesn’t all of this miss the point about insurance? Really, insurance is not a product in box you can buy off the shelf Flo. And the truth is, regardless of what you save on auto insurance, if you don’t have the coverage you need at the very moment a loss occurs, who cares what you paid! I’ve been in the insurance business for over 36 years. Every month I earn at least one new customer from one of the “big-spender” insurance companies. In December it was Steve and Pam. It started with an home insurance quote. In total they were paying about $3,900 with one of the big companies advertising auto insurance on TV and online. Before I was done I doubled their liability coverage, patched a few insurance holes that got created over the past years, and I saved them $1,942 on auto and home insurance. That’s right, I helped them save 50% on auto and home insurance premium. The real savings wasn’t the $1,942 saved premium though! The real savings will be found in losses their new insurance carrier will pay because an agent comes with our policies and he knew well enough how to protect his client while extracting the savings that make us all bay at the full moon in happiness because of our new-found bounty. Hint: I was that agent. What you pay for your auto and home insurance does matter. That is not lost on me. Nevertheless, what is paid for insurance doesn’t matter more than what you get for what you pay. Chances are that the auto insurance quote you get online won’t save you everything you can save. Moreover, it’s all about quality and value. Ask yourself, “Are you getting the right advice? Have you got some holes in your insurance policies? How would you know in the do-it-yourself world?” Can you afford self-service insurance? Don’t believe Ms. Flo, Mr. Gecko or the SpokesPig when they suggest that insurance is a self-service product. It isn’t. You deserve good advice and you deserve a professional, independent agent who will guide you through the insurance coverage options to make sure you have the coverage you need before you need it. Can you afford any less when you seek an auto insurance quote? It doesn’t cost you anything more to have an insurance agent help you create an auto insurance quote. In fact, if my experience over 36 years is any guide, in more than 50% of the cases you’ll be worse off without an agent (insurance holes and all). Don’t believe for a minute that a self-service auto insurance quote is the way to go. You aren’t likely to like the result of uncovered claims. The real truth about online auto insurance quotes are that you can’t sue yourself for malpractice. Make a mistake, miss something, didn’t know about that; you own it in the self-service insurance world. Too much rides on the success of our insurance coverage to leave it to chance and there is no reason to guess or hope (you have the right coverage). I consult with clients every day. Consult with me. Save money on auto and home insurance and I’ll help you avoid the self-serivce insurance potholes. It won’t cost you anymore to have an agent with your policies! I’ll even do all the work to find the best solution for you. One call to me does it all. The auto insurance coverage outline provides useful information. Follow the links and learn about your coverage. You may also contact Terry McCarthy and obtain direct information from his 37 years of insurance experience by calling (513) 779-7920 Monday – Friday most weeks. The agency maintains office hours from 9-5 and is convenient located in West Chester, OH.